‘Tis the season…for holiday parties. You’ve got a million things to do, so why cook when Cottage Inn Pizza adds an extra dash of cheer with a mouthwatering assortment of gourmet pizzas, wings, subs, desserts and Mediterranean foods! With an array of more than 30 gourmet pizzas built on crusts made following a proprietary recipe, Cottage Inn Pizza has something to satisfy everybody, including the pickiest gourmand. How about Motor City Meatball with meatballs, pepperoni and Italian sausage? Or maybe a dash of aloha is called for with the Hawaiian, which includes ham, pineapple and bacon. It’s not just the toppings – you can choose from an assortment of crusts, such as Garlic Butter Parmesan, Cajun Butter and more. 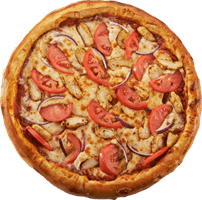 Cottage Inn Pizza also has a variety of subs and calzones for those looking for delicious items other than pizza. Cottage Inn offers a wide range of gluten-free options so some dietary restrictions won’t be a constraining factor in enjoying delicious food. Cottage Inn Pizza is the star at every holiday party, delivering tasty goodies to the busy customer so holiday revelers don’t need to stop the festivities for anything. Whether at home or at the office, Cottage Inn can add a budget friendly flare to your holiday party with tasty calzones, chicken wings, lasagna and a mouthwatering assortment of gourmet pizzas to satisfy every taste. Cottage Inn Pizza’s delicious food rings in the spirit of the holiday season and lets customers soak in the warmth of friends and family. It truly is the most wonderful time of the year, made even more wonderful with Cottage Inn Pizza. Check out the menu at Cottage Inn Pizza and simplify your holiday season.